Every single Tuesday, we’re giving away 10 Free Spins on our Million Dollar Slot. To qualify, simply make a deposit of $25 or more with code TUESDAY10 and get 10 bonus spins to win up to $1,000,000. 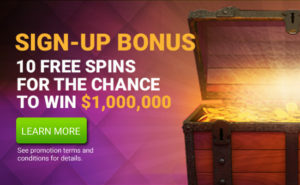 CanPlayCasino.com players who earn make a minimum deposit of $25 will receive 10 Free Spins for $1,000,000 on our CanPlayCasino.com promotional slot machine. Players are eligible to earn one free allotment of 10 free spins every Tuesday from May 15th, 2018 through December 31st, 2018. 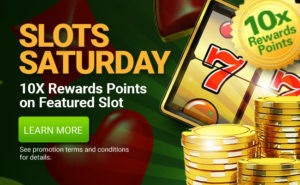 Free spins will be credited to the player’s account within 72 hours of each Tuesday. 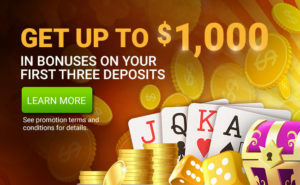 CanPlayCasino.com also withholds the right, at its discretion, to discontinue or cancel this promotion at any given time.